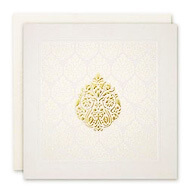 Description: A subtle white card with light background design has a gold foiled motif in the centre. 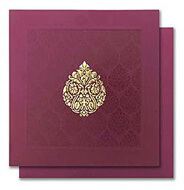 Insert is made of white card with a colorful patch in the centre to add to the richness. Envelope is made of same white material.